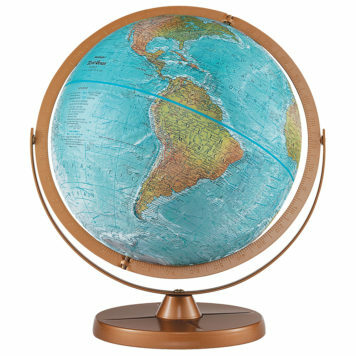 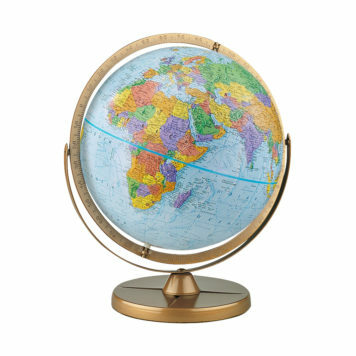 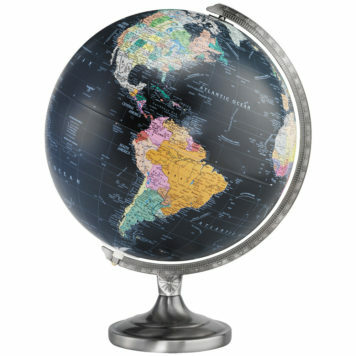 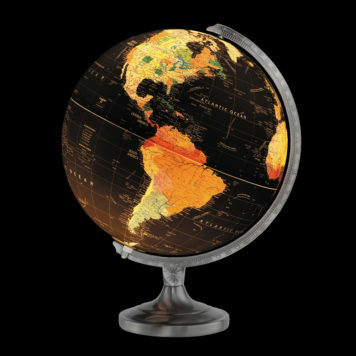 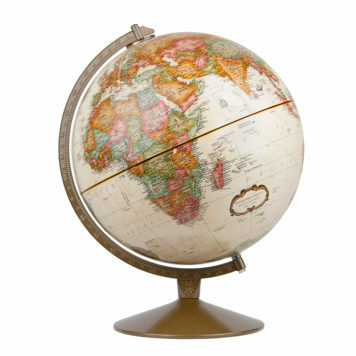 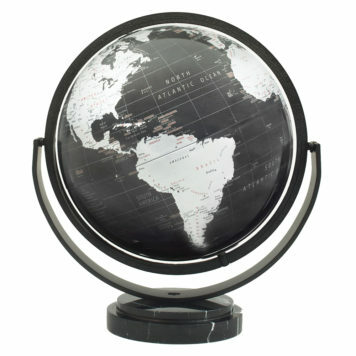 Land areas on this special globe are in true-to-life color to illustrate mountains, deserts, forests and grasslands. 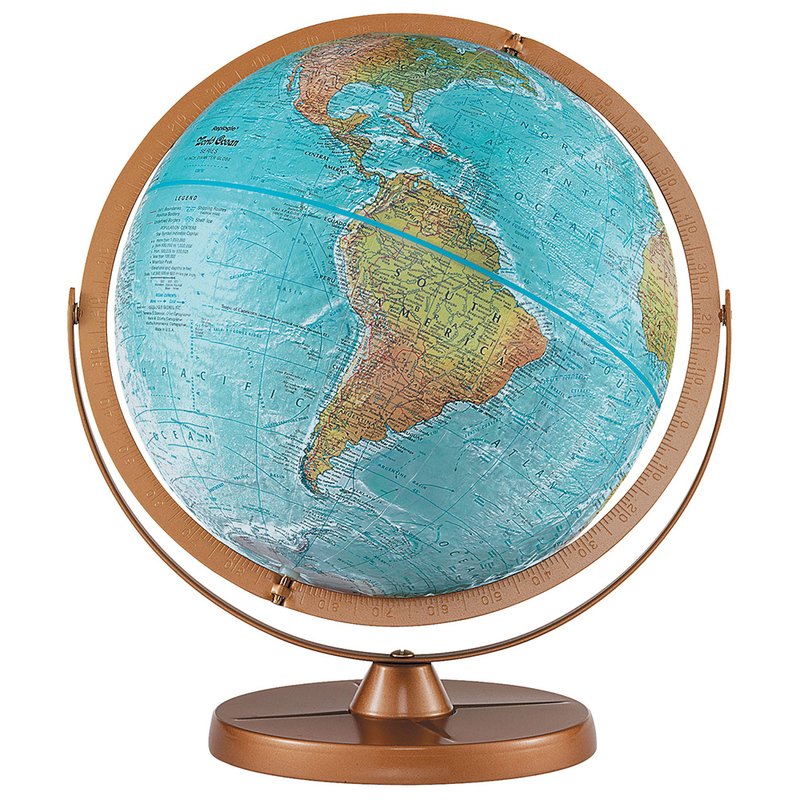 Oceans show undersea physical features. 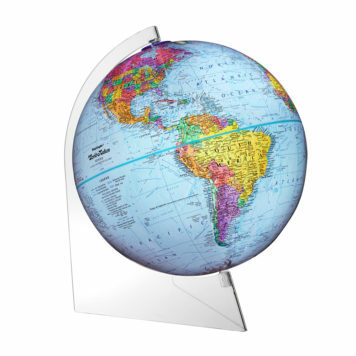 Gyro-matic mounting with numbered full-meridian swings up or down to bring any area into closer view.